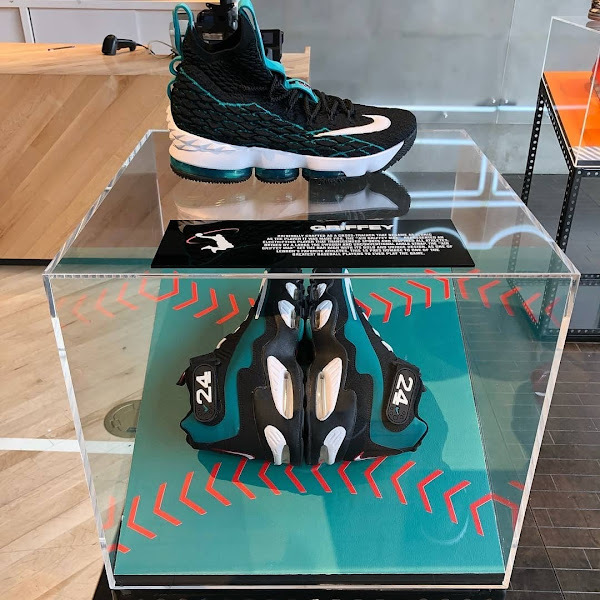 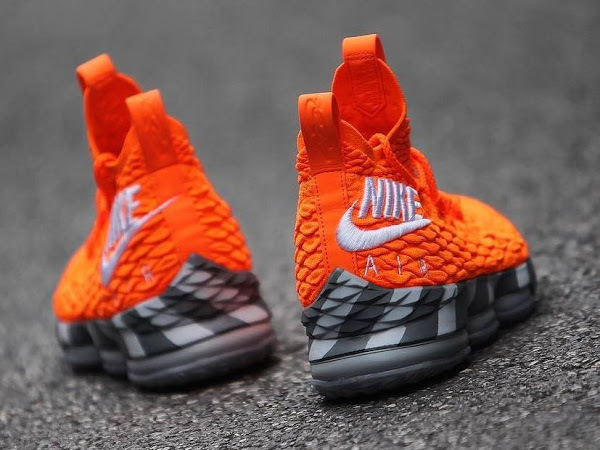 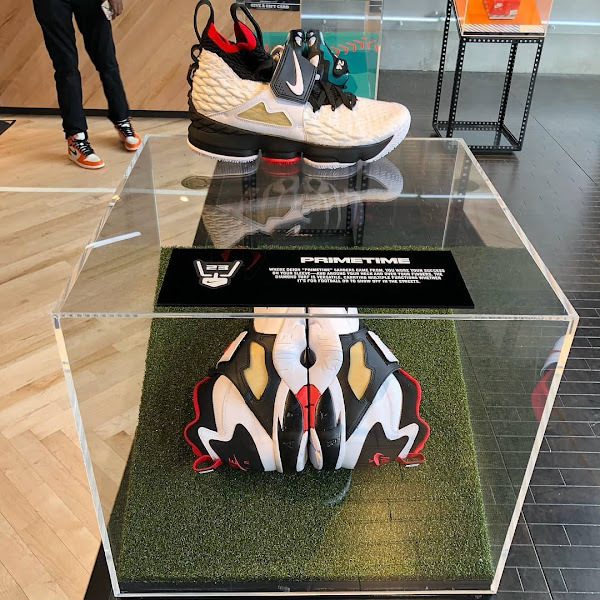 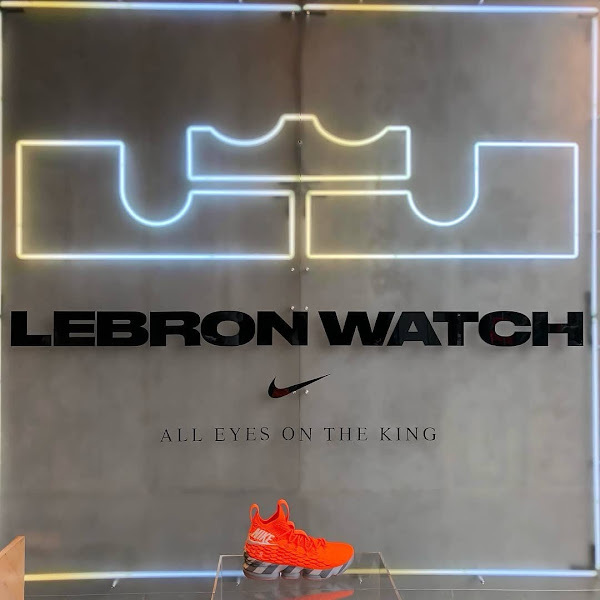 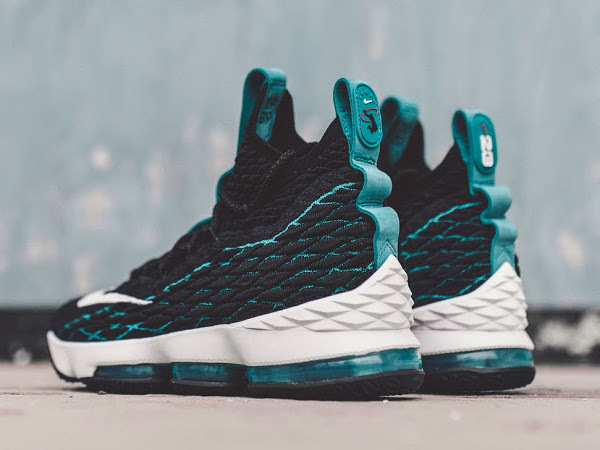 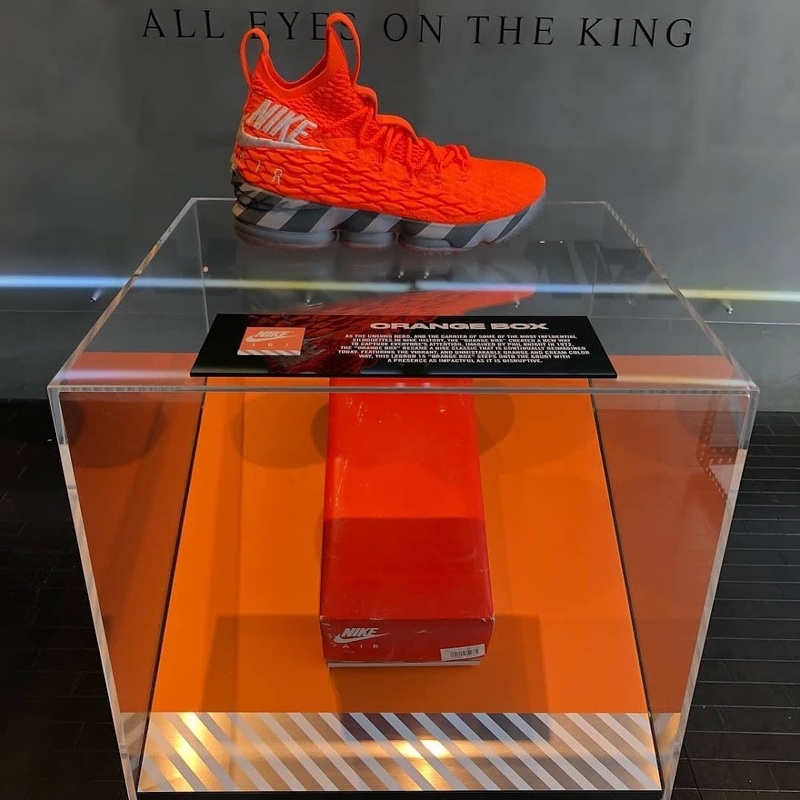 Today Nike and Footlocker join forces for a second wave of the LeBron Watch campaign by releasing all 5 colorways (Deion, Mowabb, Orange Box, Air Max 95, Griffey) at select House of Hoops stores in Harlem, Chicago, Los Angeles, and Cleveland. 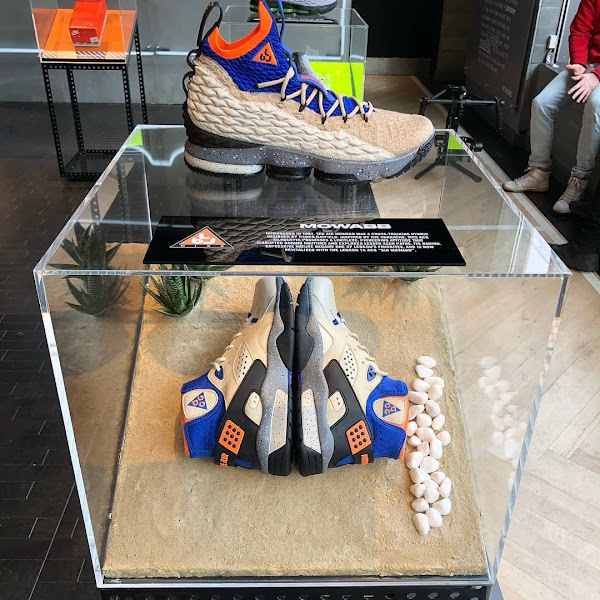 Obviously the New York City location is more special. 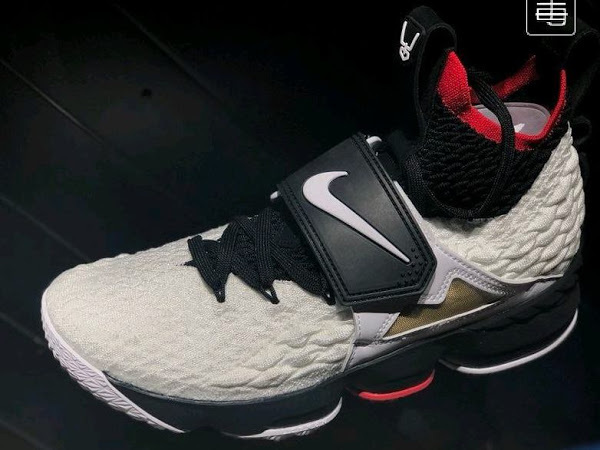 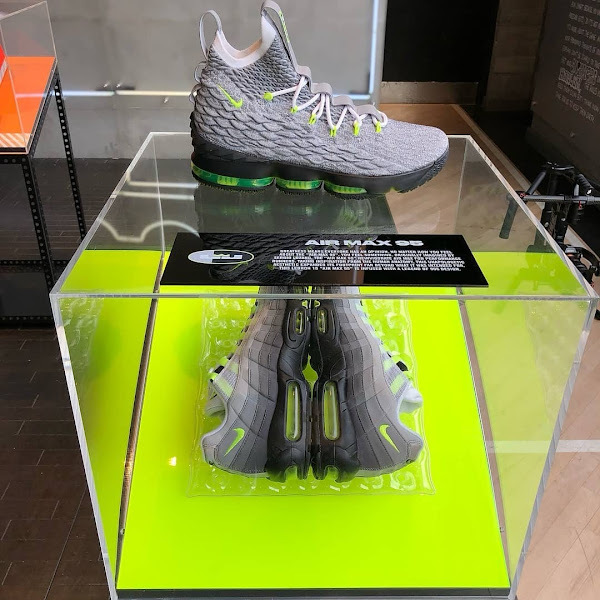 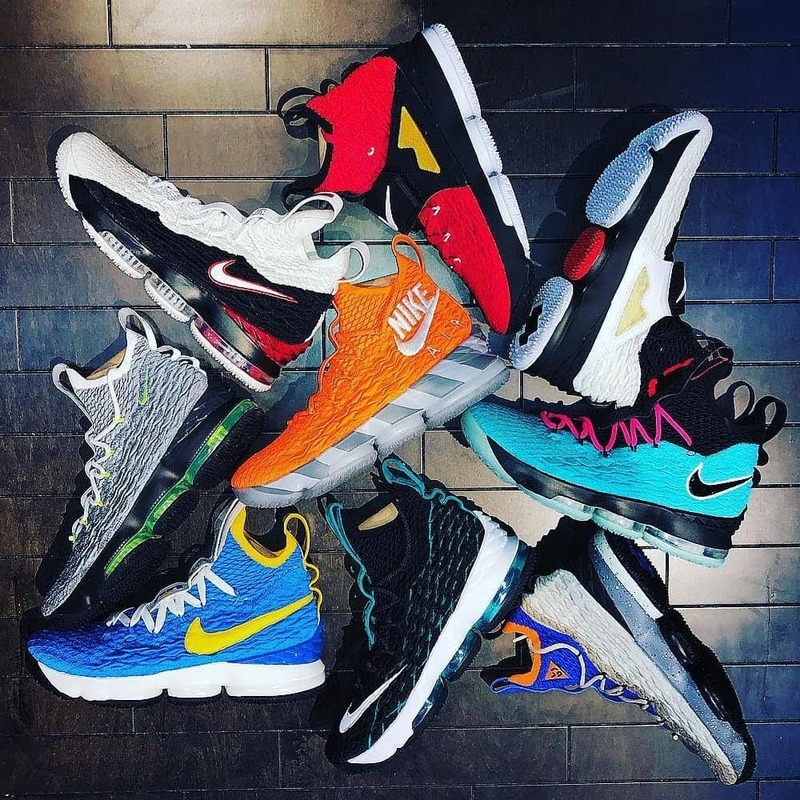 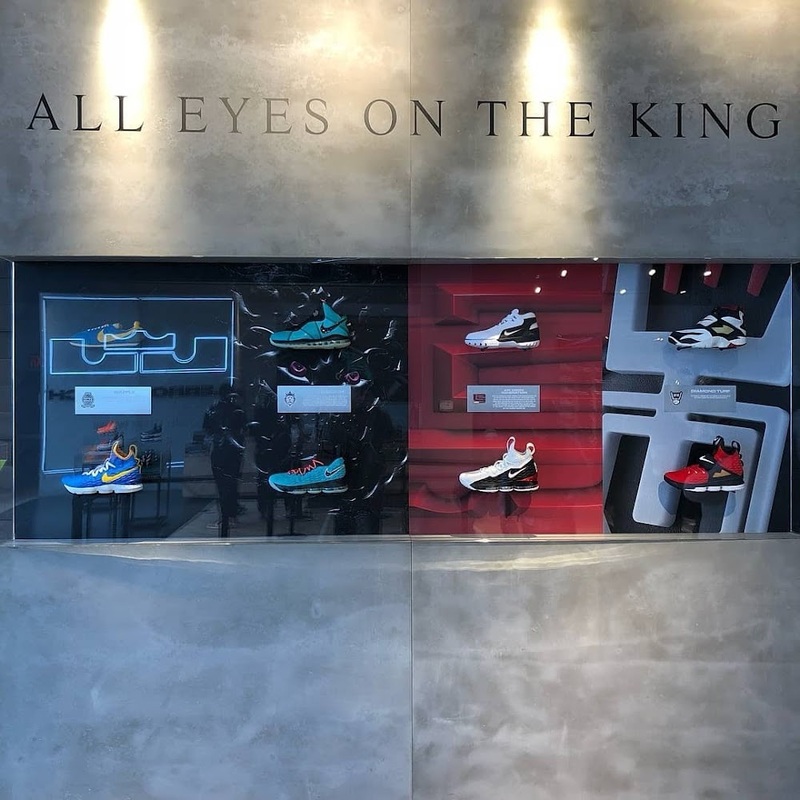 There’s a special display showing all LeBron Watch 15s even the ones that did not release to public. 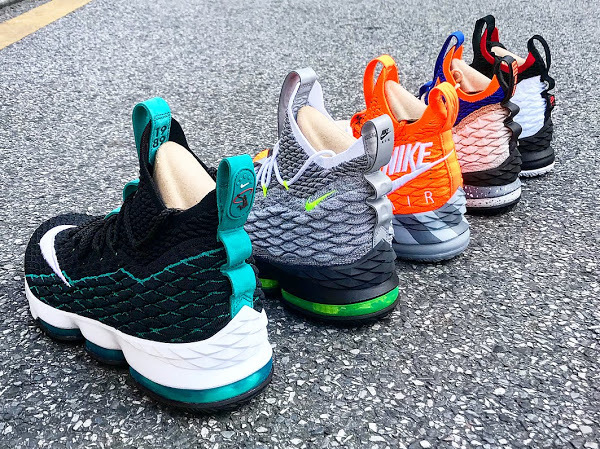 Actually there’s one missing… the Orange Air Max 95. 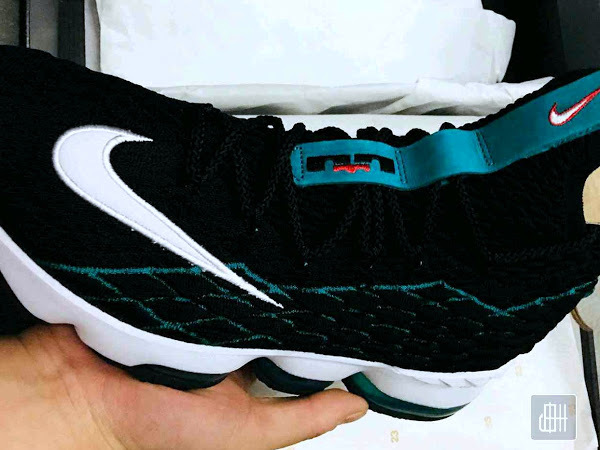 All pairs have regular outsole pattern (no outriggers), which may indicate that some of them are not only meant to be held behind a glass window.